Do You Have A Covert Narcissist In Your Life? Do You Have A Covert Narcissist In Your Life? They are just as toxic as overt narcissists but harder to spot. I’m telling you this because I want to spare you some unnecessary pain, confusion and manipulation. Covert narcissists infiltrate your mind. 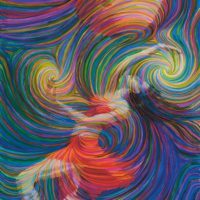 Here are some ways to untangle and free yourself. Just for the record, we all have a degree of healthy narcissism. 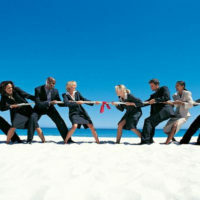 It’s a necessary dose of self-involvement which keeps us aware of our physical, emotional and mental condition. Sometimes our own pain is so consuming that it blinds us to the needs of another. That comes with being human. On the other hand, unhealthy narcissism is a fixed, daily way of life. It ranges from obnoxious but harmless to a full-blown psychological disorder. You can find lots of articles on narcissists and narcissism, but they almost always address overt narcissism. Overt narcissists are self-centered, have a high opinion of themselves, feelings of entitlement, are often contemptuous of others, lack empathy and are what’s called “ego-syntonic.” In other words, they are in agreement with their inflated self-image. I’m sure you can name a few. Self-image, mind you, is not the same as a healthy sense of self. Self-image is a protective layer, a “game face,” developed since early childhood. Overt narcissists maintain their self-image by projecting their buried feelings of shame and inadequacy. In other words, they blame others. They are capable of worldly success, sophistication and polish, and an unrealistic assessment of their personal power, but underneath all this “confidence,” they are emotionally damaged. They are easily offended, insulted and sensitive about their own feelings … but not yours. If they see a psychotherapist, it will have to be one who supports their self-image. Overt narcissists avoid knowing themselves by disdaining all true self-examination and living an externally-based life. Image is everything. 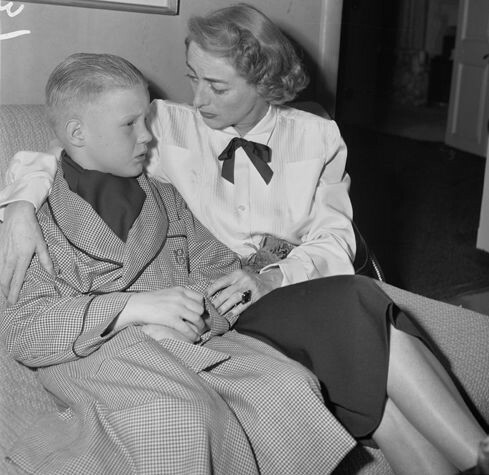 The actress Joan Crawford, a notoriously well-known narcissist according to her adopted daughter Christina who wrote Mommie Dearest, appears very sympathetic to her young son in this picture … but is Christopher feeling understood? Joan Crawford and her son Christopher. Wikimedia Commons. Even though they are braggarts, shirk responsibility, and rarely apologize, narcissists are notorious for their ability to charm. They are master manipulators who have an uncanny ability to enter into relationships with people who are taken in by them for far too long. Since you’re reading this, you’re probably one of these people. Which is why I want to warn you about covert narcissists. Because if you’ve been taken in by an overt narcissist, it’s even harder to catch what’s going on with a covert one. The covert narcissist, who is subtler to detect, leaves you feeling just as used, overlooked, unimportant, depleted, and guilty of something you haven’t actually done as an overt narcissistic. But he or she also makes you feel sorry for them. For the rest of this article I’m going to refer to the narcissist as “he” but please know that both males and females are capable of narcissism. The closet narcissist is someone who can be self-deprecating and seemingly humble. He is often sociable and well-liked by friends and co-workers. Only family, significant other, and his secretary or personal assistant experience his profound insensitivity to their needs, feelings and goals. His sense of entitlement is locked behind closed doors. Even he has himself fooled into thinking he’s just an unpresuming guy. He can express genuine sympathy and interest in areas he understands, but not in areas to which he cannot relate. So if you have an illness, he can be supportive because he knows what it’s like to be sick. But if you want to accept a job opportunity to go abroad for a period of time, and he relies on you as his spouse to manage the household, he will manage to make you feel guilty (even though he travels on business whenever he likes, despite it superseding family occasions). The closet narcissist may express surface interest but does not really listen. He needs to remain superficial in order to stay ignorant of his own emotional pain. He feigns normal social interaction, all the while internally scheming to meet his own needs. He wants one-sided connection: you give him what he needs and he values you for what you can give him. He remains conveniently unconscious of his self-serving psychological arrangement with you, and would deny it quite sincerely if confronted. He may be self-deprecating, but look closely and you will find that although he acts modest, he belongs to a mighty institution, religion, club, career, etc., which he considers superior. Therefore he is superior by association. He uses his affiliation as an alumni of an Ivy League university, or an elite fraternity, members-only club, particular church, etc., to prop up his flawed self-image. In fact, he may permit you to be in the spotlight, but only because it pumps up his covert narcissism. Trophy wives don’t only hang on the arms of overt narcissists. The failed narcissist is someone who expected far more of himself and has not achieved it. He sees himself as superior and accomplished and blames his lack of achievements on anyone and anything but himself. He isolates, makes excuses, festers in private, envies successful “friends” and colleagues, and finds scapegoats on whom to vent his poison. Are you playing the role of scapegoat to a narcissist in your life? He hates himself but won’t admit it, so he points the finger at everyone else. Failed narcissists can be sociable. They are name droppers and braggarts. They can also be sarcastic, bitter, arrogant and contemptuous. They feel entitled to freely criticize the rest of the world with impunity. Even if you are the only one not under attack, you know that if he feels such disdain for the rest of the human race, you’re not exempt. You live under caustic conditions, wondering what he really thinks of you and internally cowering at the threat of being the next target. Rather than take a positive action to accomplish what they hoped for, the failed narcissist prefers to lament, reviewing his problems over and over again. Procrastination and passivity protect the failed narcissist from actually doing anything that could be judged. The narcissist is bossy, competitive, jealous, mean-spirited and a chronic complainer to deflect any personal accountability for his plight: being unrecognized as the genius he takes himself to be. You and the narcissist speak two different languages. Once you get it that you and the narcissist are literally speaking two different languages you’ve begun your road to freedom. Because narcissists definitely take emotional hostages. It is in the narcissist’s best interest to “own” you. Like a vampire, he appears to be the one in control, but he can’t thrive without your blood. As you see through his rhetoric to his toxic subtext, you will stop feeling so attached and loyal to him. You can cease volunteering to be his blood donor. When you don’t think the way he does, the narcissist’s values are unthinkable to you. The self-serving ways in which he relates to you are literally incomprehensible. This is why it can take so long to untangle yourself from his manipulations. You stick around for two main reasons. You’re emotionally dependent on him. You wouldn’t be this taken in if your sense of self was stronger. Something about the dynamics of relating to a narcissist is familiar to you. Maybe you had an alcoholic family member. There are many overlapping traits between alcoholics and narcissists. Maybe you were scapegoated or overlooked as a child. Your challenge is to believe in yourself and trust your own emotional life and the inner feedback it’s giving you, rather than the narcissist’s. If you have a chronic nervous stomach (or other physical symptoms) when you’re around him, pay attention to this. Chances are it will disappear as you are true to yourself and distance yourself from emotional toxicity. You keep trying to understand how his words and his behavior don’t match. This is called cognitive dissonance, the mental challenge of trying to accept contradictory attitudes and messages (he says, “I love you” but his lips are in a hard, thin line and the tone of his voice is sharp and impatient). You work to make sense of his unfeeling and accusing attitude towards you because you assume his emotional values are the same as yours. They are not. Narcissists are self-deceiving and so they deceive you very convincingly. They believe their own lies and are angry if you challenge them. That’s why it’s crucial to educate yourself. Learning will save you years of emotional investment in someone who is using you and certainly does not have your best interests at heart (although he will claim he does — and that he knows better than you do what is best for you). If he’s your spouse or parent, he will swear that he works hard “for us” but it is all for him. He may tell you he loves you frequently, but loving how you serve his needs is not love. Those of us who tend to get into relationships with narcissists almost always had a narcissistic parent or two. If they were closet or failed narcissists, it may not be apparent to you. As psychologist Traci Stein puts it, “They have a ‘sixth sense’ for spotting the right people to manipulate.” Narcissists are not all sadistic or Machiavellian or psychopathic. There is a spectrum of narcissism. On one end of the spectrum is the narcissist who can actually acknowledge their narcissism. This is uncommon, but such a person is much more reasonable in relationships, even if they cannot empathize with you. At least they don’t make you crazy by always being right and assuming they are entitled to use you. On the other hand, the most extreme version of a narcissist is a psychopath. A narcissist will feel compassion (not empathy) in certain situations with certain people. This compassion is an extension of how they would feel in a painful situation, but not a true empathy with how you feel. Psychopaths lack compassion and empathy; they regard other humans as mere objects to be used for their gratification and discarded when they no longer serve a purpose. First you need to recognize how much you’ve given away. You’ll have to be scrupulously honest with yourself. If you stop making excuses for the narcissist, and start seeing his attitudes and behaviors for what they are (self-serving) you can empower yourself with some righteous indignation. You can realize you are deserving of a real partner. Someone who enjoys giving as well as receiving. You are going to need some support. Just type “narcissist” in Google, YouTube, Amazon or Meetup and you will find lots of information. Start by reading Good Therapy’s article, Taking Back Your Life from a Narcissistic Family Upbringing, and Psychology Today’s piece on The Narcissistic Family. As you gain awareness of how the psychological dynamics work between yourself and narcissists, you empower yourself to set boundaries and free yourself from the hidden, yet insatiable demands of not only overt narcissists, but closet and failed narcissists as well.